This is an advanced tutorial on how to expand the WordPress media manager interface with new options. In particular, I want to expand the drop-down menu in the media manager menu so that I can do searches based on posts, pages, and custom post types, as well as include their thumbnails into my galleries. How to Add the WordPress 3.5 Media Manager Interface – Basic tutorial on how to add the media manager interface into our plugin or theme. 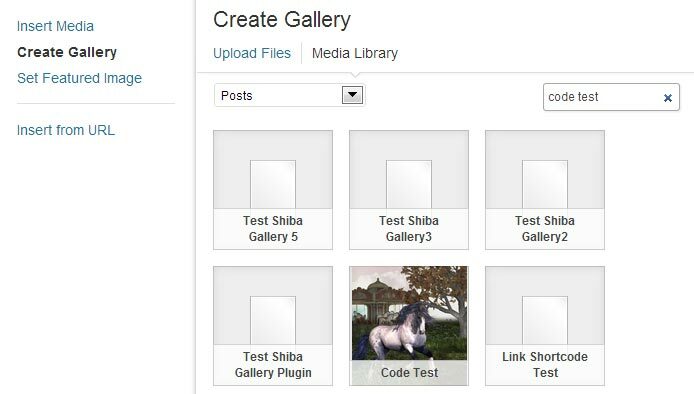 How to Add the WordPress 3.5 Media Manager Interface – Part 2 – More advanced tutorial on how to create our own media manager object, and how to customize its various parameters. How to Add the Media Manager Menu to the Theme Preview Interface – More advanced tutorial on how to add the media manager menu into the WordPress theme customizer interface. Currently, the media manager only allows searches to be performed on images. 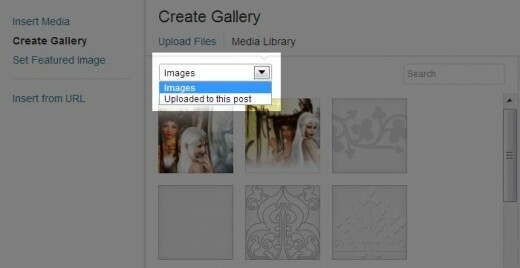 There are two options in the drop-down menu – Images and Uploaded to this post. 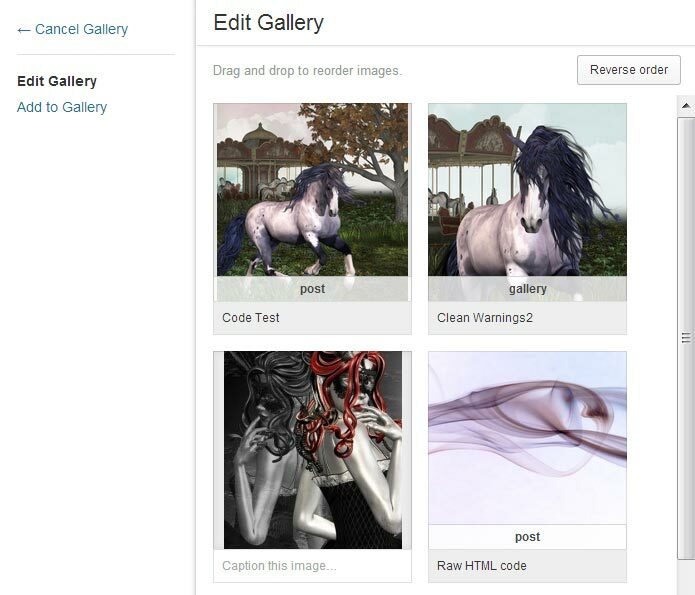 Currently, we can only search based on images while in the create and edit gallery screens. Line 7 – Override createFilters function. Lines 8 – 34 – Copied from original createFilters function. Lines 35 – 36 – Only change the drop-down menu for the gallery screens (gallery and edit-gallery). Lines 37 – 47 – Remove the default ‘all’ filter and replace it with an image-type filter. This is necessary because the ‘all’ filter does not contain a type, which becomes important when we start adding in more types in addition to images. Lines 48 – 58 – Add in our post types from step 1 (wp.media.view.settings.postTypes). Expanded media manager drop-down menu containing posts, pages, and custom post types. Doing searches based on our new post type options, however, always comes up empty. For the right searches to get performed, we also need to link our new filter options to our server. In particular, searches performed in the media manager interface gets passed on to our server as an AJAX call – wp_ajax_query-attachments. One way to enable our expanded search options is to override this ajax function. Lines 3-10 – From original ajax function. Line 12 – Check for our added post types (i.e. where post_mime_type != image). Lines 14-16 – Set post_type and post_status appropriately for search. Unset post_mime_type since we are searching based on post types and not based on images. Lines 18-25 – From original ajax function. Line 26 – Perform the search using the WP_Query object. Line 28 – The wp_prepare_attachment_for_js function only prepares attachment objects. Other object types are not processed and then simply removed by the array_filter PHP function on line 30. To properly return our post type objects, we will need to write our own processing function (my_prepare_items_for_js) that can deal with both attachments and posts. // Don't allow delete or update for posts. So don't create nonces. Once we add in our own query-attachments function, our post type searches work as they should. Doing a post search in the wordpress media manager interface. Line 18 – Just pass through our selection instead of filtering it based on image type as is done in lines 19-22. Now, posts, pages, and more can be added to our media manager gallery. Finally, we can make our post type objects more pretty by overriding the media manager attachment template. Thanks to ShibaShake for sharing it, it was really helpful to me personally. I spent nearly a day implementing this feature for my plugin and now it’s really perfect. Great! I have been implementing this but I need more features, for example, I need to display more than on thumbnail per post (we are uing acf and custom get field). We’ve been working on it but we don’t find a way to do it. Can you help me with this as a freelance job? You can contact me on my e-mail address. Hello Cyril, I am not doing any freelance jobs at the moment. Too much on my plate. Good luck with your project. Great tutorial (and very cool site)! I’m just wondering – do you have a tutorial on how you can change the default WordPress Media Manager “Link To | Media File” location so it goes to the *large* version of the image, instead of the *original* size? A lot of site authors are now uploading very large 8MB+ images from their cameras, without realising that they’re slowing down their site. That would be really helpful! An nice solution for a plugin/theme would be an option to set the default size for the Media File URL, so a user could choose to always use one of the other sizes (medium/large/original/custom). Alternatively, an image size dropdown, rather than the text input field, for the user to choose the right size. Anyway, keep up the great work – it’s appreciated!